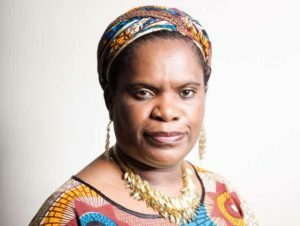 African Goddess Online has announced that Betty Makoni is nominated amongst top ten African women for the Prestigious African Goddess award of the year . http://www.goddess-of-the-year.com/p/goddess-2012-awards.html for empowering, inspiring and transforming the lives of thousands of sexually abused of girls in Africa and world over. This latest nomination comes at a time when Betty Makoni has successfully replicated the Girl Child Empowerment Model in four other African countries with thousands of girls and women in Zimbabwe and world over forming similar Girl Child Networks. The work started in a classroom in a high density suburb in Chitungwiza with ten of her Advanced level students has won 26 prestigious global awards including CNN Hero, World Children`s Prize alongside President Nelson Mandela , United Nations Red Ribbon award among others . She is also featured in many books and she is the main subject in the award winning documentary Tapestries of Hope. According to African Goddess Online, their award goes to a woman of African descent who possesses an authentic, self-sufficient, female power. She is a woman of African descent who sets her own trends and sets her own pace. She dances to the tune of her own music. She is intelligent, innovative, and gets results, and she has a heart for her community. At Afrikan Goddess Online, we feature African women contributing something positive to their communities. These women are fighting for justice and taking a stance. These women are passionate about what they do and care immensely about making a difference in their communities – no matter how small. Afrikan Goddess has featured women from across the African continent on our front cover since January 2009. These women are usually women who have availed themselves to a higher calling of selfless service to their communities, and who have accomplished personal achievements worthy of recognition. To date, they have interviewed and profiled over 20 goddesses.According to African Goddess Online the time has come to finally recognize special women. One of the women will become our first-ever Goddess of the Year, and will have her accomplishments tooted to a broad global audience, gaining the special recognition and funding that she and her community deserve (and need).